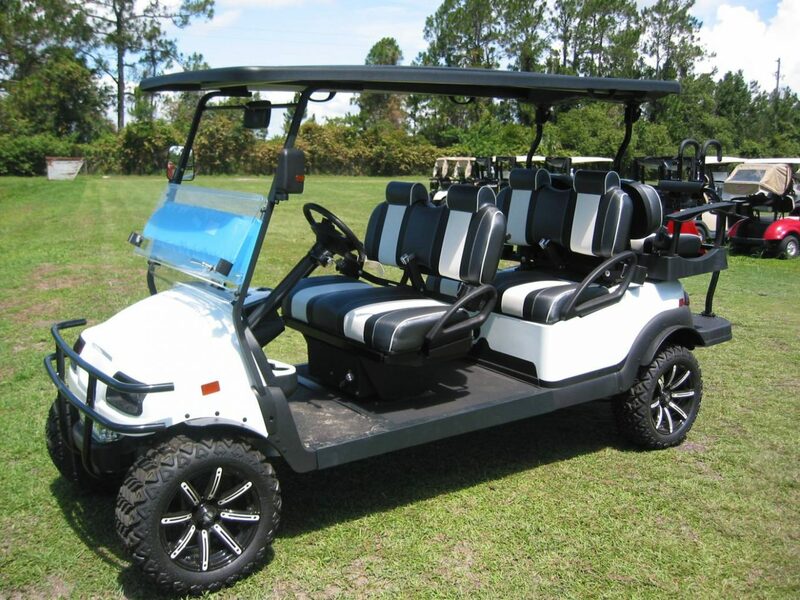 Custom Club Car Precedent Gasoline factory stretch, built 6 passenger, with EFI engine, lift kit, Phantom white body, custom dash, top, aluminum wheels. Only available through Gulf Atlantic Vehicles. Call for a custom quotation! No after market stretching done!